Easy to make one skillet chicken dinner the entire family will enjoy. 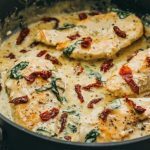 Healthy with spinach, garlic, sun-dried tomatoes in a creamy sauce. Brown chicken in olive oil in frying pan cook until no longer pink inside set aside. Melt butter in microwave. Add ingredients together in medium size bowl. Add butter to mixture. 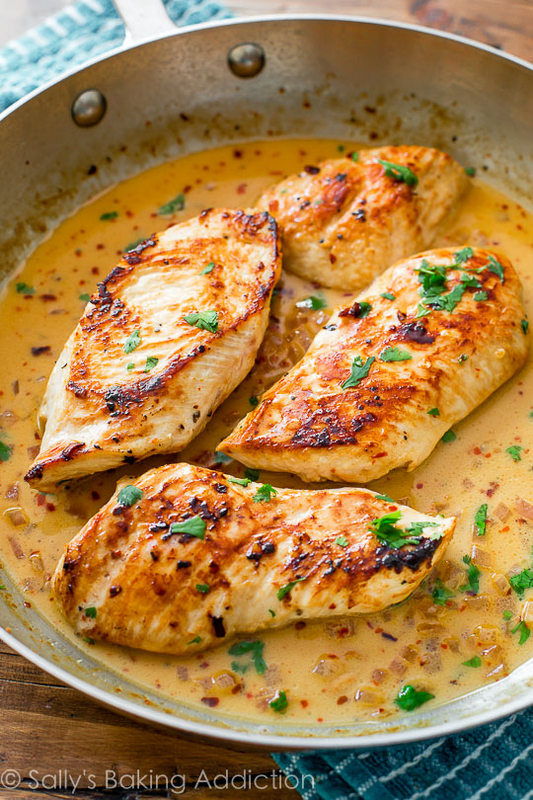 Pour over chicken in pan and cook on low to medium heat stirring frequently until melted. Recipe from Savory Tooth and Sally's Baking Addiction.